Today I dropped off three prints to be exhibited as part of The Many Faces of Frida. 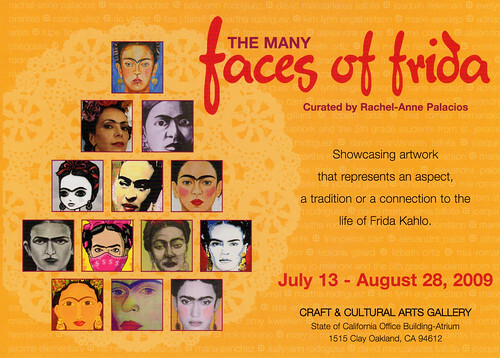 The exhibit is a collection if reinterpretations of Frida by various artists assembled by curator Rachel Anne Palacios. Based on what I saw being installed in the gallery, the show looks great! The reception is Thursday, July 16t, hope to see ya there! 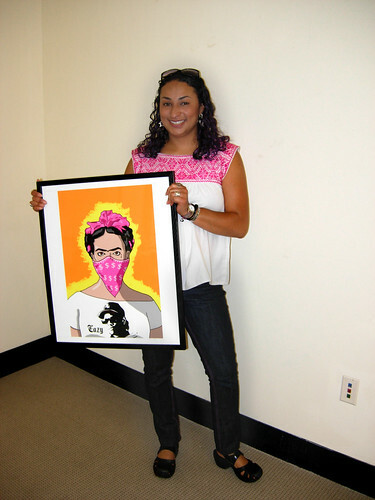 If you’ve wanted to buy prints of my Ghetto Frida series this is your chance. More info below! 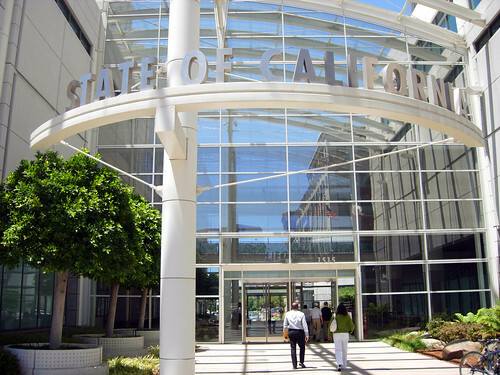 The State Of California Office Building Atrium, it was pretty nifty lookin'.